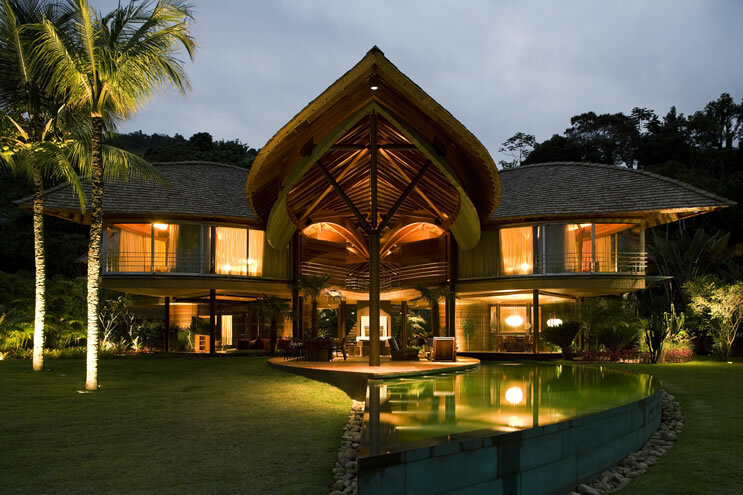 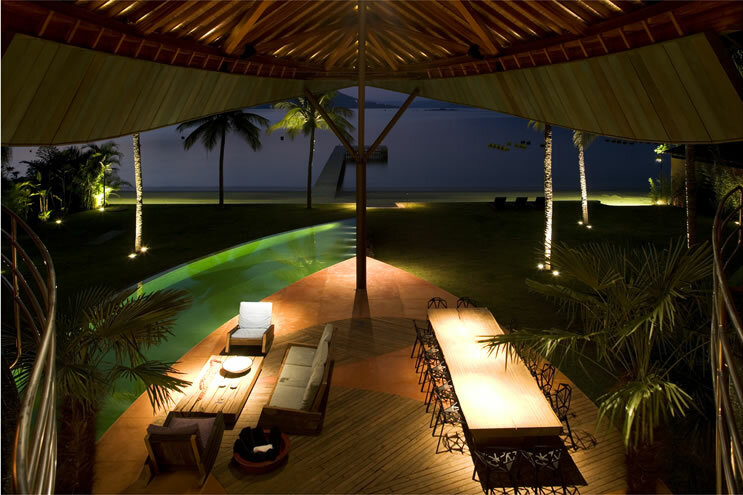 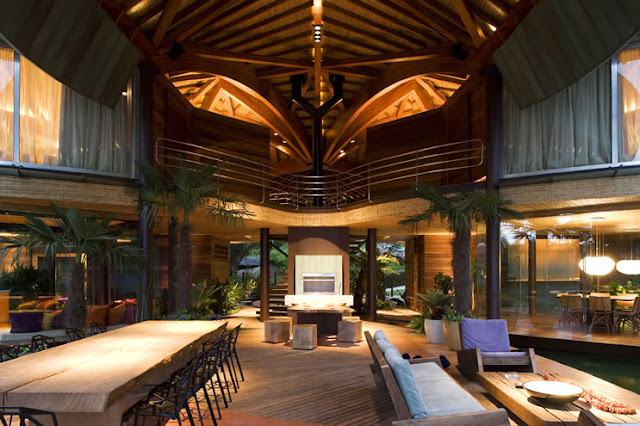 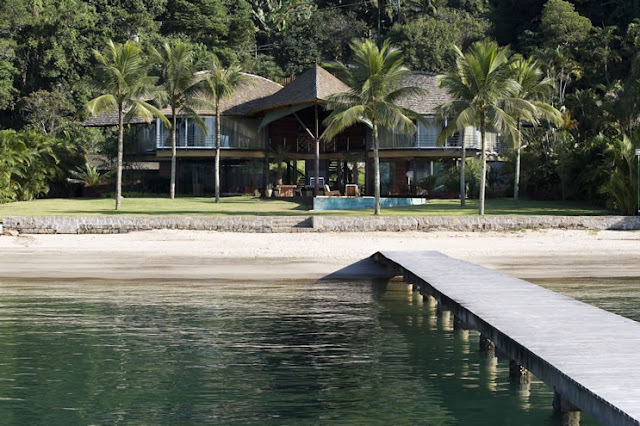 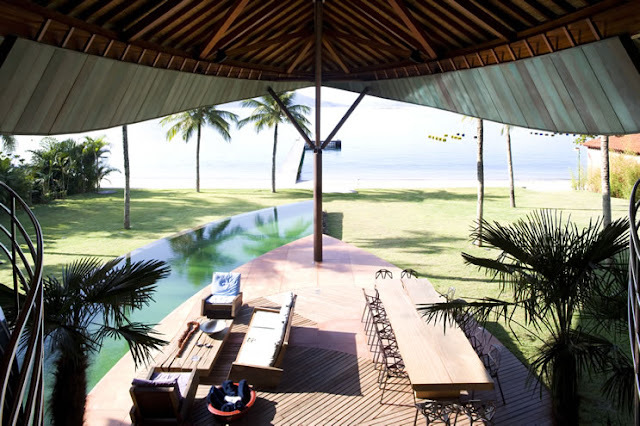 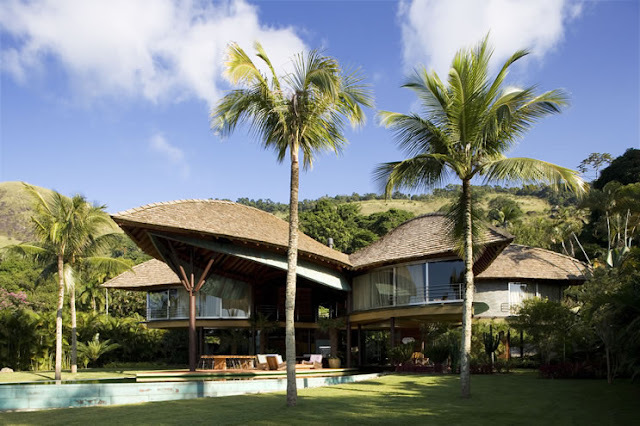 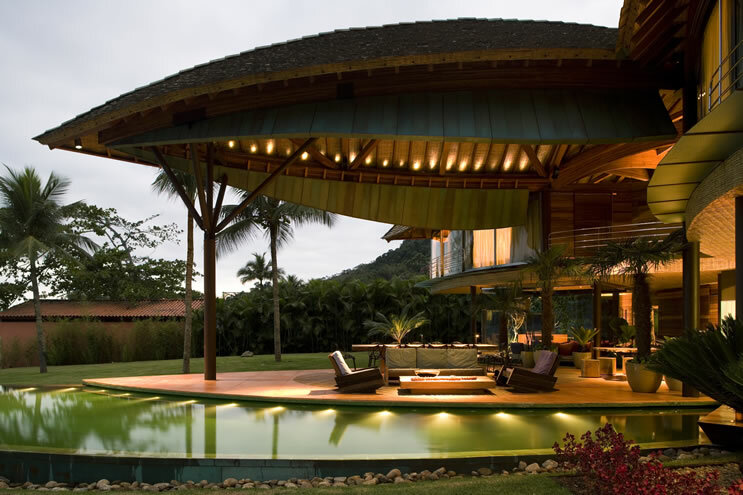 This beautiful little exotic beach house is built on a beach outside of Rio de Janeiro, Brazil. 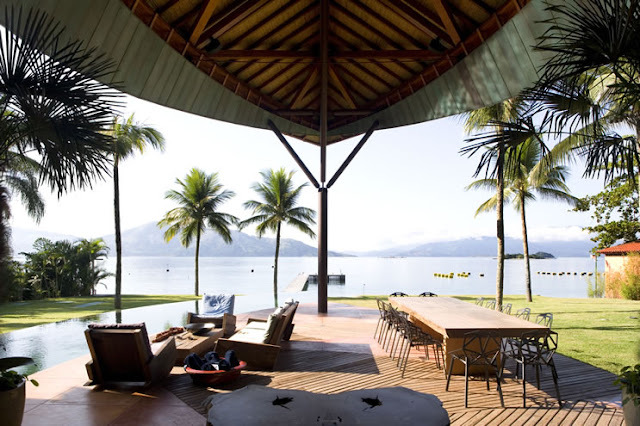 Designed by Mareines + Patalano, it is really a good escaping place when cold winter strikes up on the north. 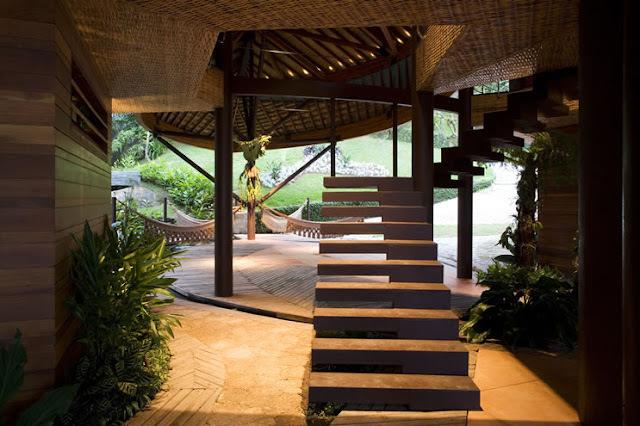 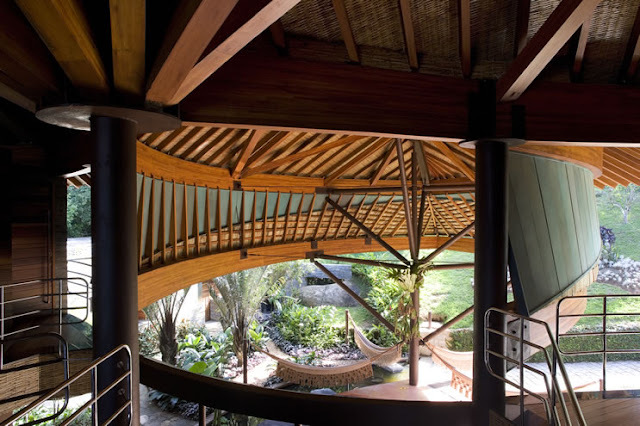 Inspired by banana leaf, this tropical home is built without corridors, offering one big open space and connecting the nature with human. 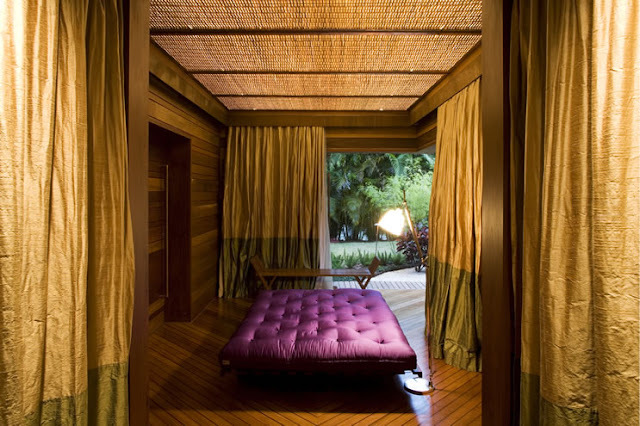 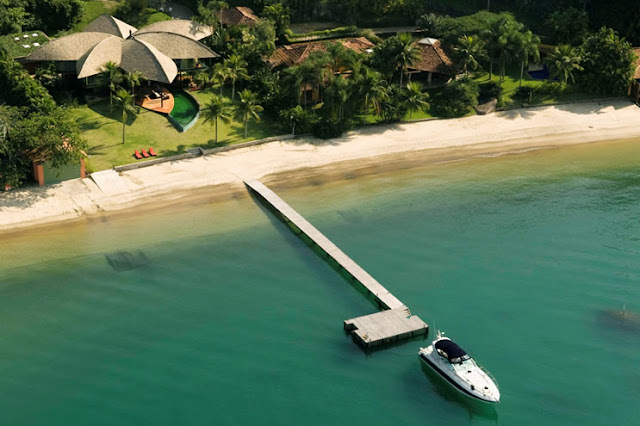 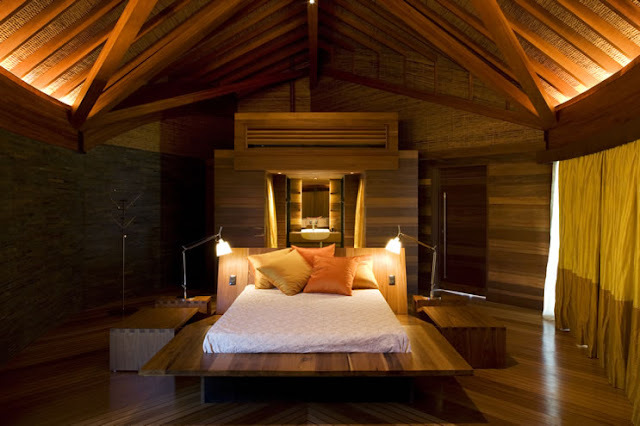 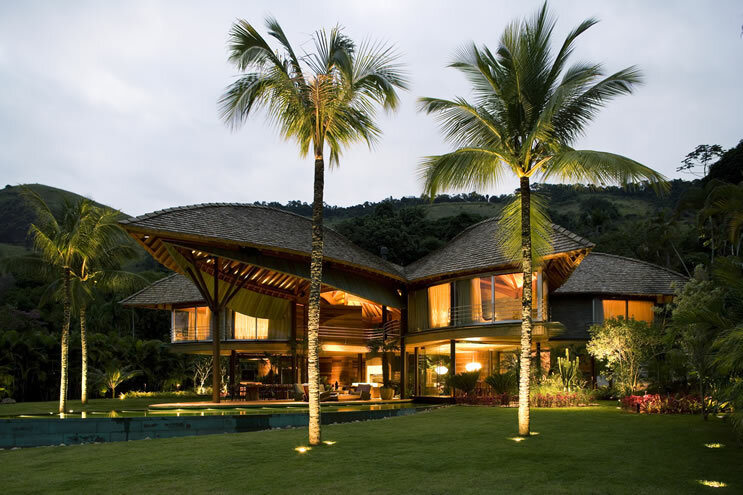 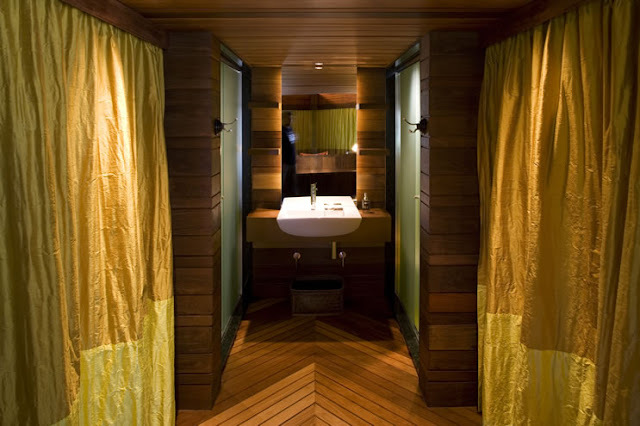 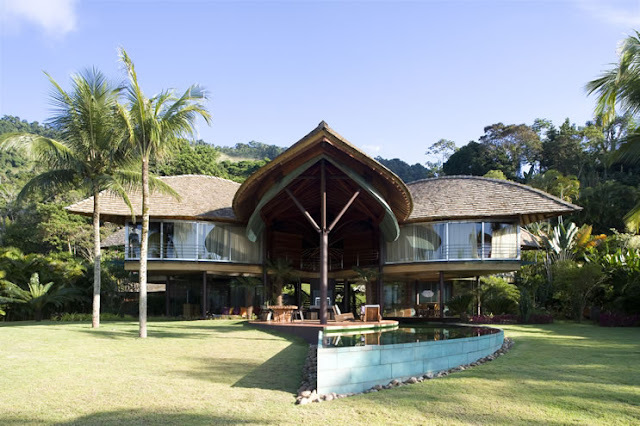 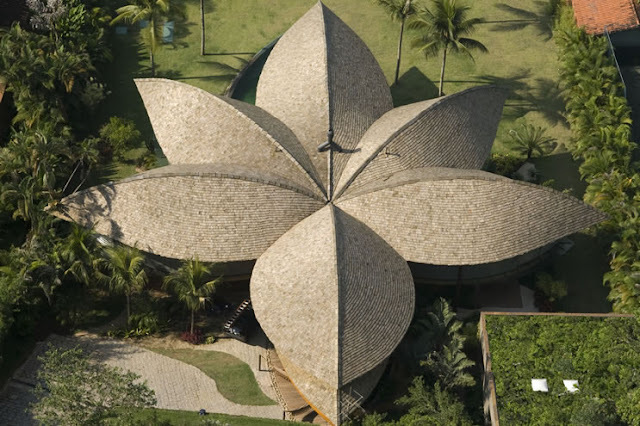 "This project was inspired by Brazil's Indian architecture, perfectly suited for the hot and humid climate where it stands, Angra dos Reis, one hour drive south of Rio de Janeiro. 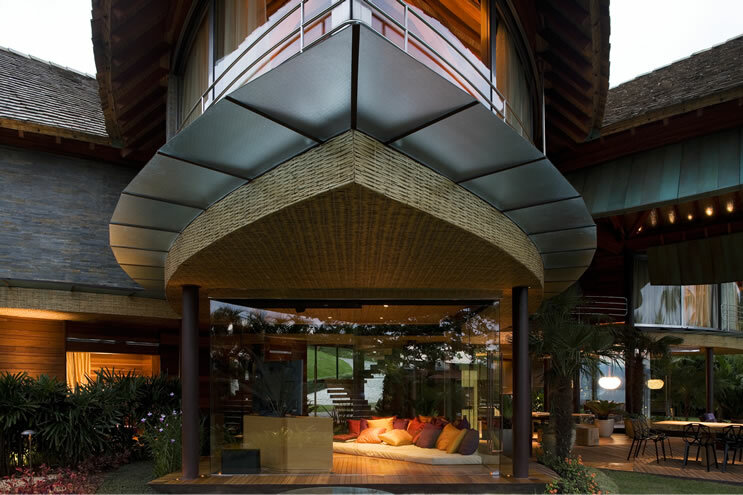 The roof acts as a big leaf that protects from the hot sun all the enclosed spaces of the house as the in-between open spaces, truly the most important ones . 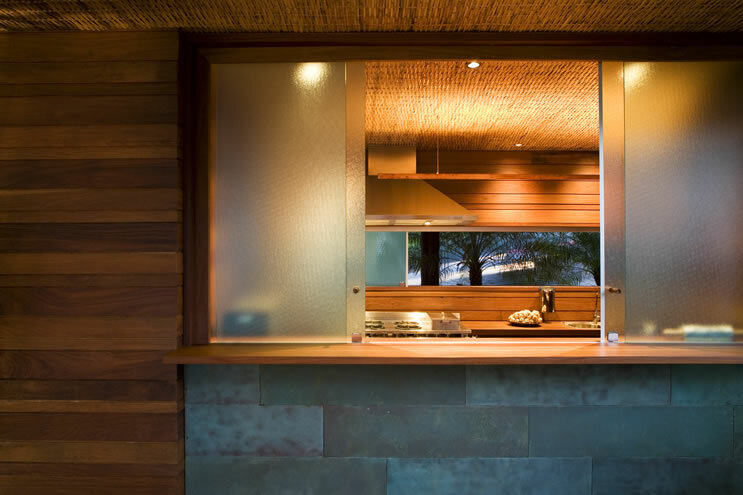 These in-between open spaces represent the essence of the design. 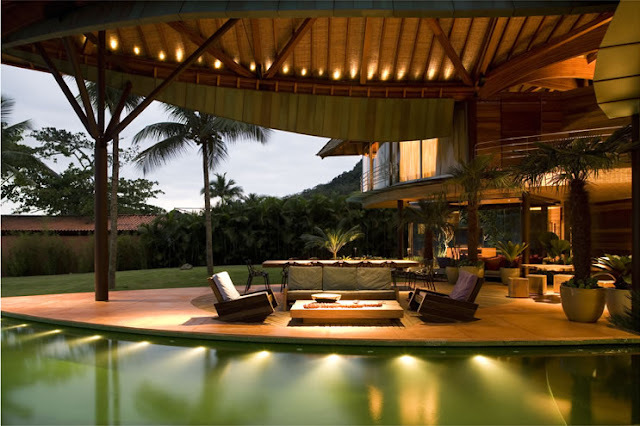 They are the social areas, where the the owner of the house and his guests spend most of their time. 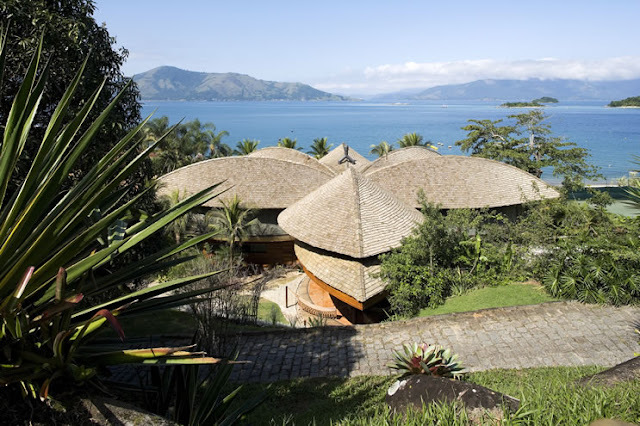 The very generous heights of these spaces, wich varies from 3 to 9 metres, allow the SE trade winds from the sea to pass perfectly longitudinally trough the building, providindg natural ventilation and and passive cooling both to the enclosed and open spaces. 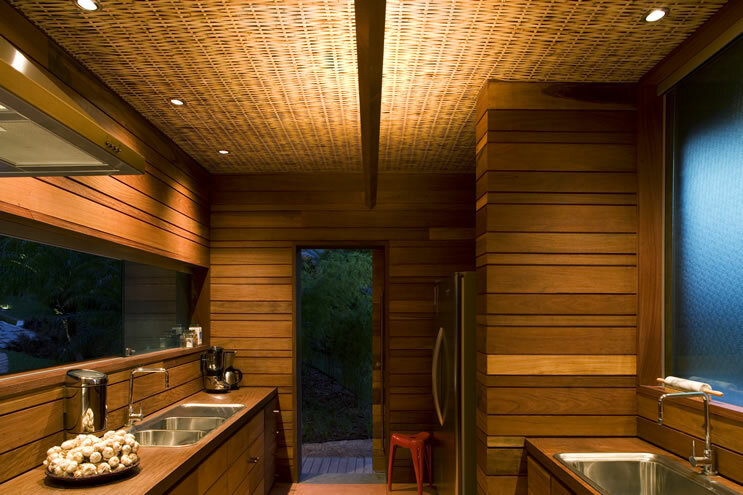 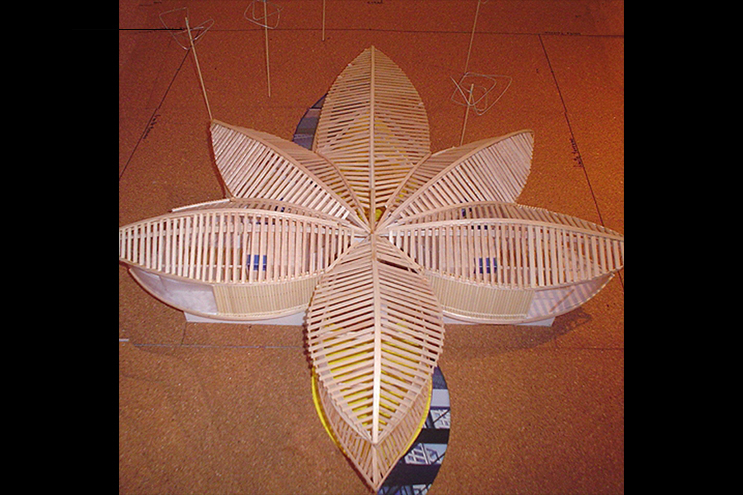 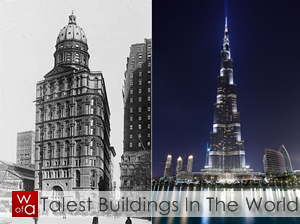 We see it as low-tech ecoefficiency, where it has the greatest impact, the concept of the architectural design."